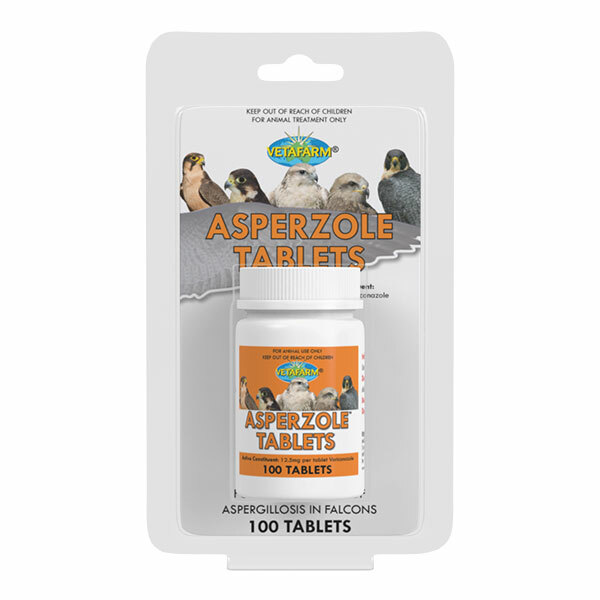 Oral tablets for the treatment of worms & coccidiosis in falcons. 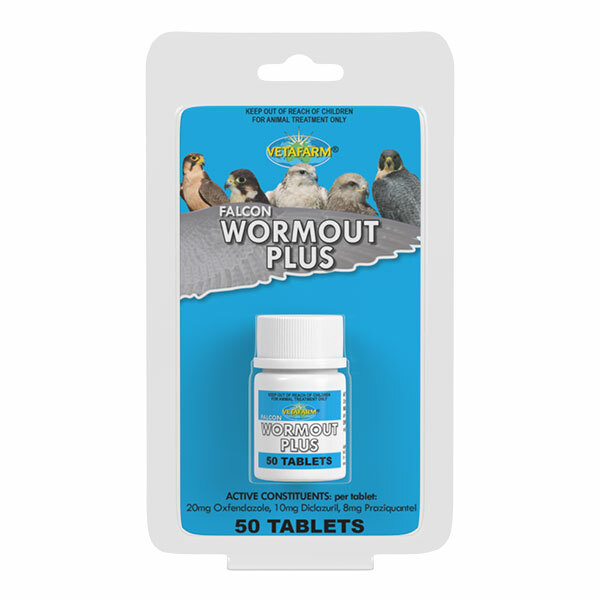 Wormout Plus Tablets are effective against Threadworm (Capillaria spp. ), Tapeworm & Roundworm (Ascaridia spp.) in falcons. Roundworms are very common in young raptors and regular worming is needed to control re-infections. Capillaria are also common, especially where birds have access to earthworms. Routine faecal testing is recommended to monitor parasites. Coccidiosis is a common cause of enteritis in falcons. Young birds are particularly susceptible. The parasite is passed through the faeces and infection occurs via ingestion of contaminated food and water. Signs of coccidia range from poor growth to mild diarrhoea to sudden death. Coccidiosis is always worse during warm wet conditions. Maintaining dry floors in enclosures and regular removal of droppings will aid in coccidia control. Give one tablet by mouth per kg body weight, once. Repeat every 8-12 weeks. 20mg Oxfendazole, 10mg Diclazuril, 8mg Praziquantel. Create Muscle Power is designed to promote speed, endurance and power during hunting. 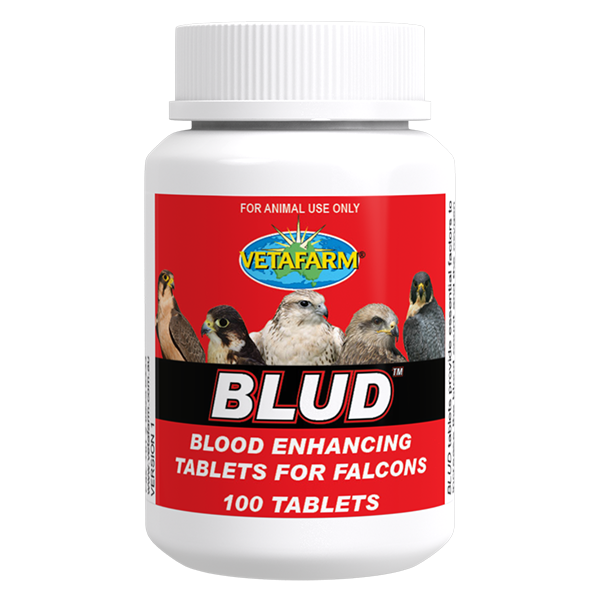 Blud Tablets provide the essential components for red blood cell production.